A Webley Mark VI revolver carried at the Battle of the Somme by JRR Tolkien, the author of The Lord of the Rings, is to go on display next month. events • National Amusements is offering BOOKWORM WEDNESDAYS which entitles kids to free admission to a select children’s film every Wednesday from June 28th to August 16th at 10 a.m. when they present a book report at participating Showcase/Multiplex Cinemas or Cinema de Lux box office. Accompanying parents or guardians and children under six receive free admission and do not need to submit a book report. audiofile • NPR’s Susan Stamberg interviews Charles Sheeler about his paintings from photos and the exhibition at the National Gallery in Washington. 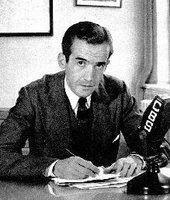 something new • From NPR author Philip Seib talks about his new book, Broadcasts from the Blitz: How Edward R. Murrow Helped Lead America into War. 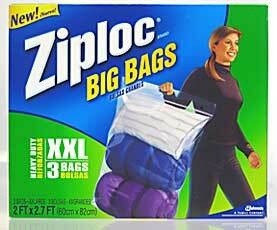 cool tools • Win Schaeffer got his hands on a fairly new useful product: giant Ziploc bags. Configured like big shopping bags. Translucent blue. There is a handhold at the top center and a little hole on each side to go on hooks. 24 inches wide. Two lengths available, the XL at 1.7 feet (10 gallon) and the XXL at 2.7 feet (20 gallon). The plastic is a nice thick 3.25 mil. Gusseted bottom Perfect for storing/transporting lithos, prints, large photos, posters, etc. Also to store styro peanuts, other packing material, matboard, and probably 50 other things. At my Sam’s Club, $8.88 for either a box of 9 XLs or 7 XXLs. Should also be available at larger grocery and hardware stores.